In summary, Kovalev landed punches until it was stopped. But Jean Pascal unimpressed more than Sergey Kovalev impressed. Pascal should consider another sport. Not properly conditioned to sustain a grueling inside attack nor to continuously move around on the outside, there really is nothing for him to do against legitimate competition. Combined with his lack of balance and limited skill set, Pascal's real chance was to hope to get lucky, as was evidenced by his gradual lack of punch output due to relying on Kovalev to throw first to catch him with a counter. But as Pascals counters were always late, clearly the timing and recognition was non-existent. Kovalev threw jabs and straight right hands that landed consistently. Pascal was awarded a break in the first round when he walked into a jab that sent him to the canvas, for it was improperly ruled a slip. At least Pascal was active and made an attempt to establish his jab. By the second round, Pascal was no longer active and was waiting the entire night for a lucky counter right hand as Kovalev attacked. This is truly what it means to rely on miracle and shamefully Pascal was doing it by the second round. For even if Pascal got his wish, he conceded to being out boxed until it happened. A stoppage was looming by round five when Pascal got hit by a straight right hand while he was against the ropes. He bent downwards as if he wanted to take a knee, remained up uncertainly, went to the adjacent set of ropes nearby, and continued to take punishment. It remained this way until Pascal's trainer, Freddie Roach, stopped the fight at the end of round seven. 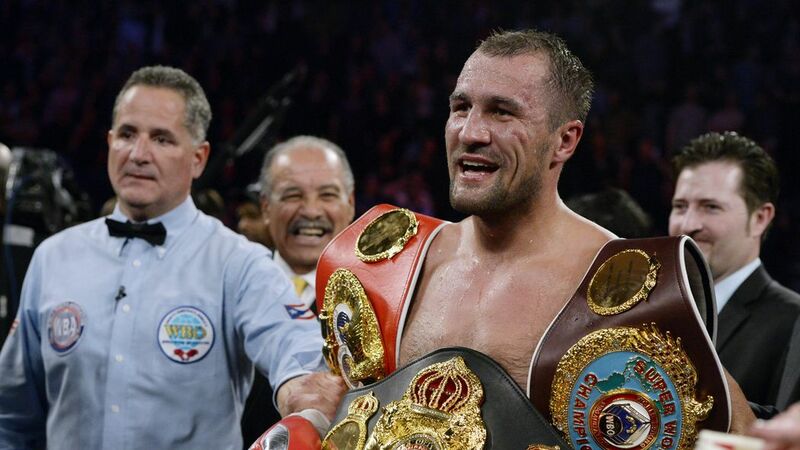 On a more significant note, Pascal did manage to pressure Kovalev at times, and when he did Kovalev did not show any adeptness at fighting on the inside, appeared wide open, and did not seem to have the physical strength to hold his ground. I feel a certain disdain towards Sergey Kovalev and his trainer John David Jackson for pursuing a fight with the smaller Andre Ward on the premise that Ward is too small and does not punch hard enough to withstand the hard punching of Kovalev. That is to say, Jackson and Kovalev want to sell Kovalev-Ward as a fight to prove who is the best fighter in the world. But in reality, this is a fight in which a bigger man in Kovalev is looking to use his size as an advantage, nothing else. If Kovalev wants to transcend his peers in recognition, he should move up in weight class where he has to rely more on his boxing. That said, Kovalev looked beatable. Pascal was able to take a pounding and he was not competitive. One must assume that Andre Ward will prove better defensively and offensively. Barring one devastating punch landed by Kovalev, not only do I envision Ward being able to hold his own, I actually expect him to physically bully the lanky Kovalev on the inside. Heavy-handed, yes, but physically strong Kovalev is not. Due to Pascal's poor performance, this match was not worth watching.